You can earn 390 yards with this purchase! The TaylorMade RSi TP forged iron set features Face Slot Technology (3-7 irons). This technology takes the Speed Pocket Technology to the next level. With face slots located near the toe and heel of the club it allows for uniform flex of the face. 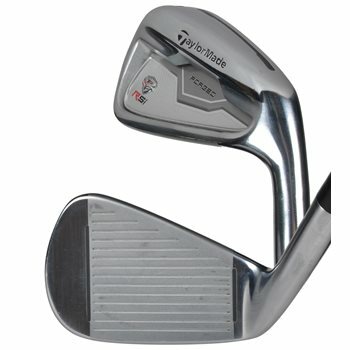 It also has improved Speed Pocket Technology (3-7 irons). The result is more consistent distance on off-center hits and consistent launch angle and ball speed on all shots. This set also features advanced two-piece welded construction to provide excellent feel and performance. The TP version has tour proven shaping with a compact head size, minimal offset and a thin topline. Review by Jon Bobs, 1 year ago. Review by walt, 1 year ago. Review by 2or3, 2 years ago. are these the actual pics of the clubs? All pictures are representative of model only and are stock photos. Refer to the condition rating for details regarding a specific set.